Some of the socks and toiletries collected by third- and fourth-graders at Mary Help of Christians School in Parkland for their Socks of Love project. 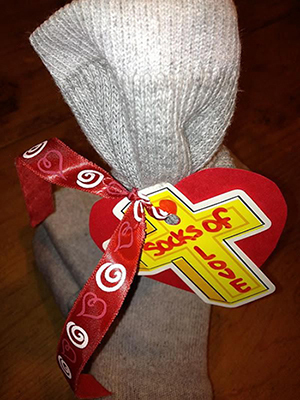 A sample of the Socks of Love packages created by third- and fourth-graders at Mary Help of Christians School in Parkland. The toiletries are inside one sock, which is wrapped inside the other one. PARKLAND | Thanks to the third- and fourth-graders at Mary Help of Christians School, the homeless and needy in Broward County can count on at least one pair of new socks, plus the toiletries stuffed inside them. The students chose Socks of Love as their service project for the community, explained third grade teacher Jennifer Murray. 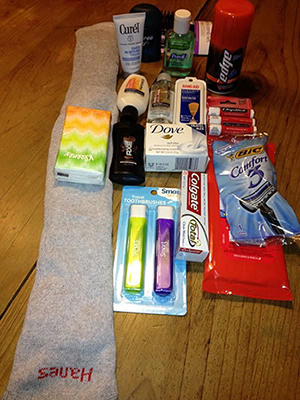 Between Feb. 1 and 15, the 91 students in both classes collected donations of new adult socks, as well as travel size toiletries such as soap, toothpaste, toothbrushes, deodorant, and shavers. The project yielded 181 Socks of Love that were then dropped off at the Broward Outreach Center. "We were incredibly thrilled with the amount of donations that we received from the families here at MHOC," Murray said. She added that the socks came with an added bonus: "the love of God shared by compassionate hearts." 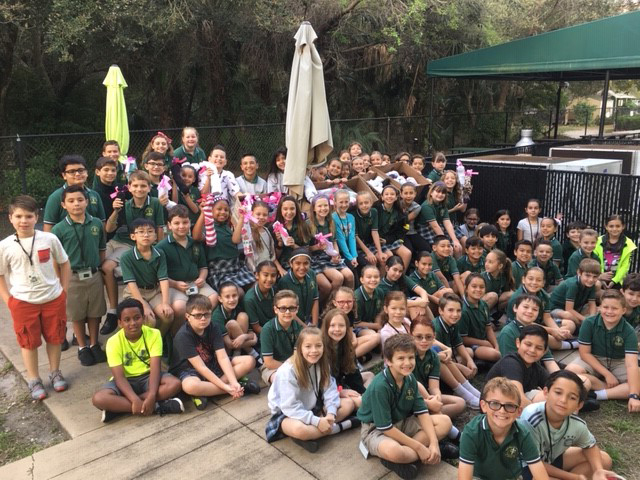 Third- and fourth-graders at Mary Help of Christians School in Parkland pose with some of the Socks of Love they collected for the needy and homeless.